Jivewithdeepti.com and Italia Film Middle East are giving 6 lucky winners a chance to win 2 invites to the advance screening of Disney/Marvel movie: ‘Guardians of the Galaxy’ to be held at Novo Cinemas Cineplex (near Wafi City) on Wednesday August 6th at 9:00pm. From Marvel, the studio that brought you the global blockbuster franchises of Iron Man, Thor, Captain America and The Avengers, comes a new team—the Guardians of the Galaxy. The movie is to be released in UAE Cinemas on August 14th. Follow these simple steps to win your invites, courtesy of Italia Film Middle East. 1. Like and share the page: www.facebook.com/jivewithdeepti. 3. You must share the contest post on Facebook. 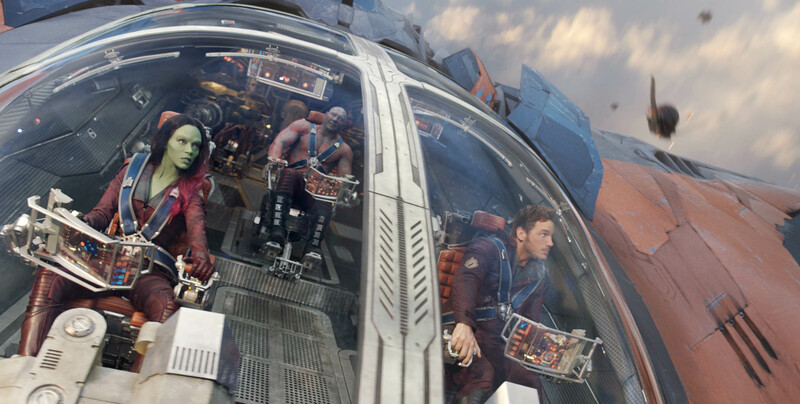 Question: Name the Writer of the Film ‘Guardians of the Galaxy’. All the entries will go into a draw and the winners will be announced on August 5th, 2014. James Gunn & Nicole Perlman- Guardians of the Galaxy Time!!! James Gunn and Nicole Perlman are the writer and co-writer of the film. The writers of the film are James Gunn and Nicole Perlman. James Gunn and Nicole Perlman.